Nothing says "Welcome" like the scent of a fresh Christmas wreath. We have a wide variety of wreaths including: Balsam Fir, Boxwood, Fraser Fir, Noble Fir, Douglas Fir, Mixed Noble, Cedar & Juniper, Silver Fir, Magnolia & Mixed Magnolia with Cedar & Dried Fruits, & Carolina Sapphire, Specialty Mixed Nobles. 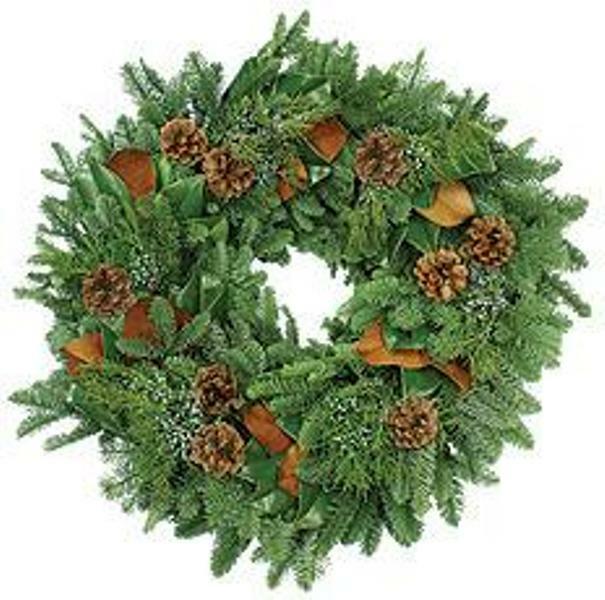 We also carry an assortment of decorative shaped wreaths including: Candy Canes, Crosses and Door Swags! Perfect for an entry way or adorning a wall in your home! Let Pat and the girls design a one-of-a-kind custom made wreath for you. Pick from an assortment of holiday ribbon or bring your own and let Big John's hand-tie a custom bow for only $1 per yard. And remember, it's only $5 to decorate our wreath with your embellishments! Decorate your front door, your office, or wherever you need a special holiday touch. 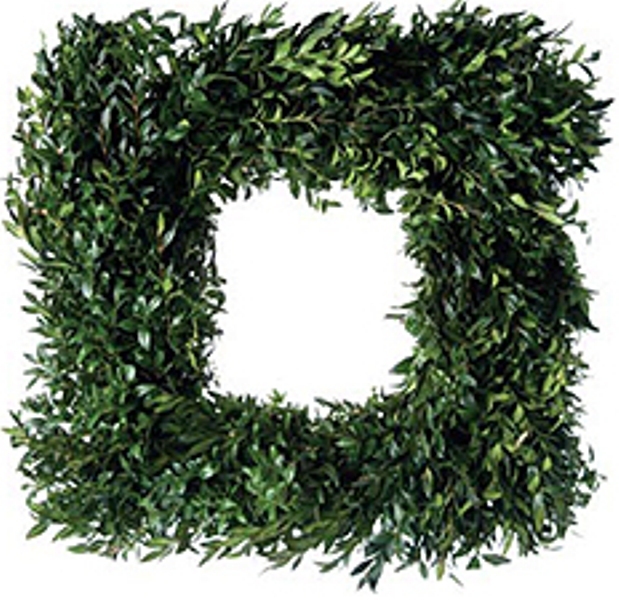 Fresh Picked boxwood is made into beautiful wreaths available in 24" and 30" outside diameters. AKA The Biggun'! 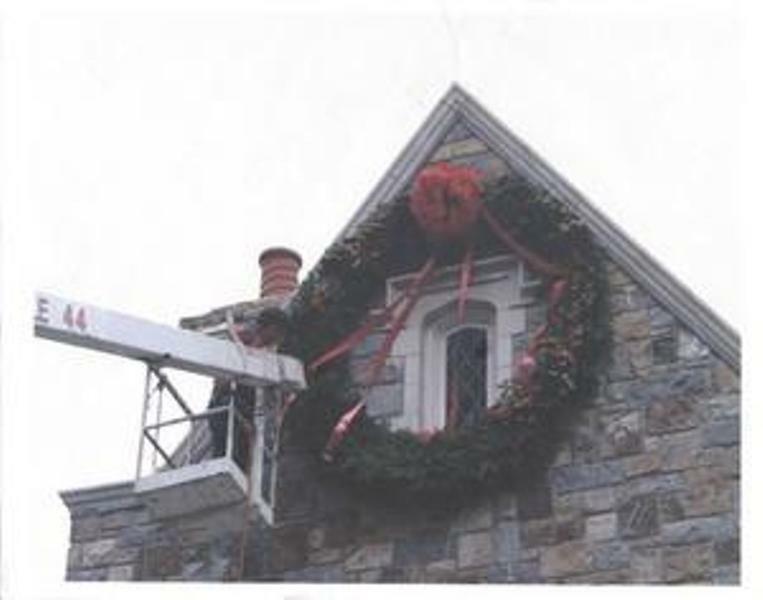 This magnificent wreath measures 8 feet across! Made of fresh Balsam Fir tips from New Brunswick, Canada.